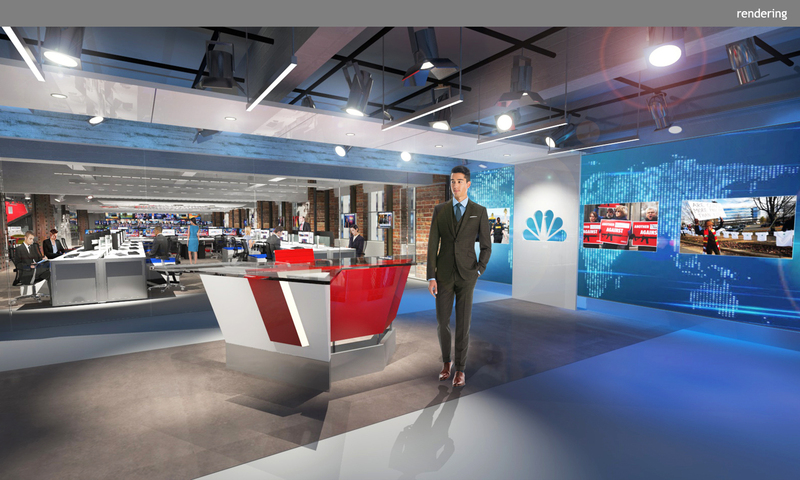 NBC News has transformed the 4th floor of 30 Rockefeller Center into a 12,000 square foot media center which consolidates the entire news organization onto one floor. 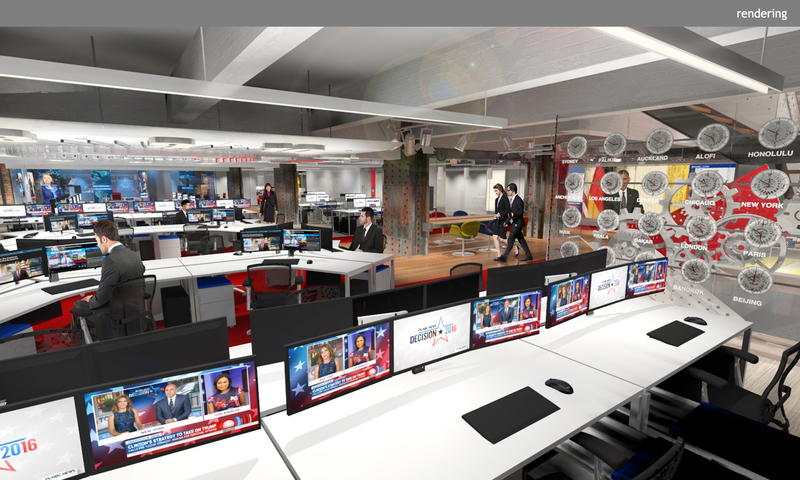 This move signals a fundamental shift towards merging editorial resources as well as an intent to formally reveal the formidable “behind the scenes” machinery of making the news. 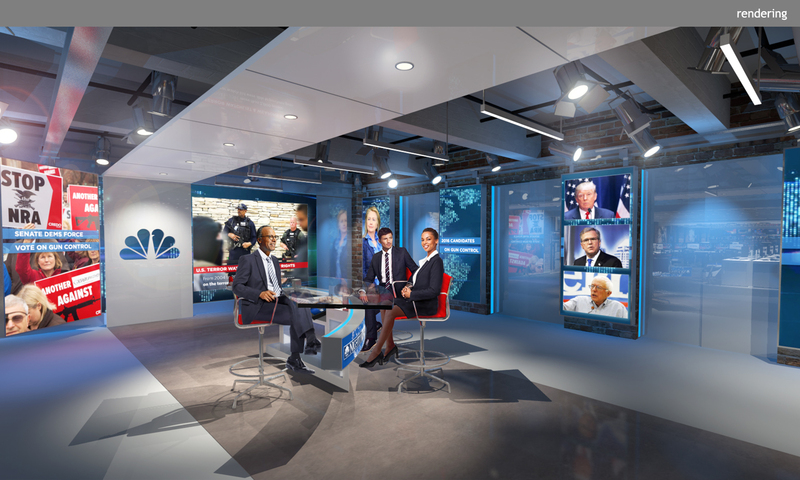 As built, the entire facility is an open landscape newsroom that can become a backdrop for live on-air broadcast and multi-platform distribution. 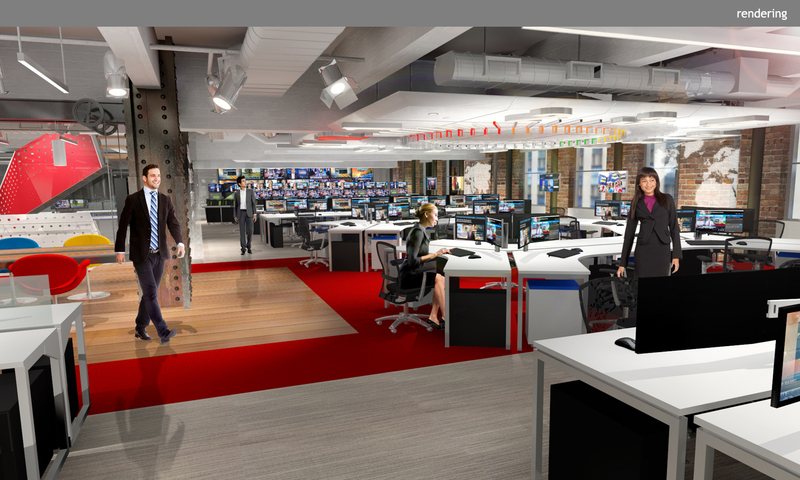 Much like an archaeological discovery, the design evolved from peeling away prior renovations to reveal the original bones of the building, both structural and material: steel columns, piping, and electrical equipment are exposed, and the open perimeter brick wall exhibits the authentic provenance of 30 Rock. 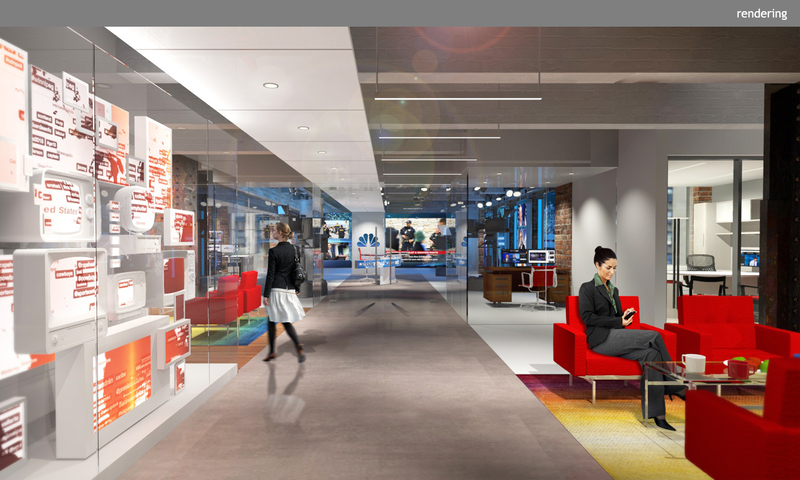 Simultaneously contrasting historically traditional aesthetics with a more modernist vocabulary, details within the space are focused to reinforce a brand narrative that voices a respect for history but resolutely shows a determination to be a leader in a quickly changing industry. 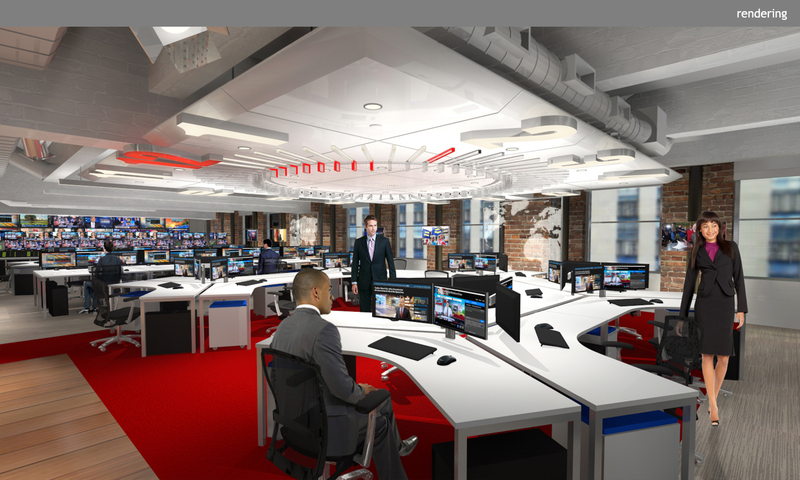 The 900 square foot Studio 4E is located in the northeast corner of the space and enclosed in glass so as to easily capture the newsroom activity on camera. 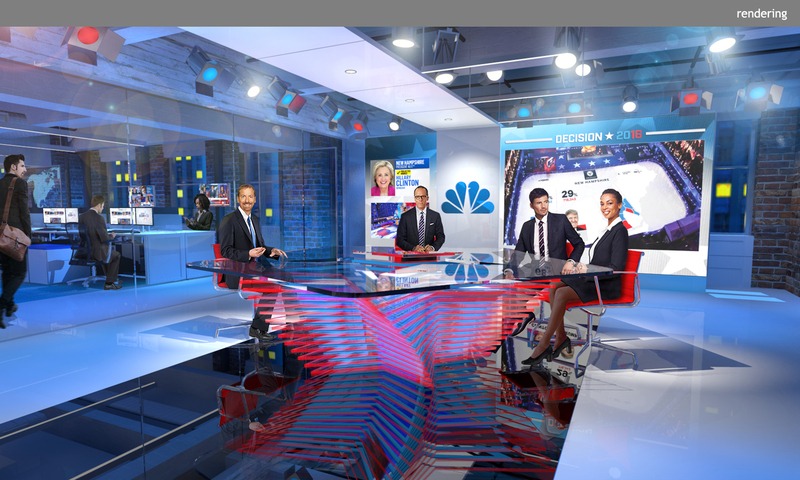 The multi-functional studio makes use of LED displays — a vista wall as well as tracking panels — and accommodates both NBC News and MSNBC programs.